Supplementary Examinations for the Pre-Ph.D/Pre-M.Phill/Pre-MS will be held on 20th & 22nd AUGUST – 2016 from 2:00 PM to 5:00 PM for Paper-I and Paper-II respectively. Registration for the Pre-Ph.D/ Pre-M.Phill /Pre-MS.
5. Make the payment online, either by using the payment gateway using VISA/Master Card or by using the SBH online challan. 6. The photo copy PDF receipt generated (in case of payment by payment-gateway) or the University copy of the SBH challan (in case of challan payment) should be taken. 1. The candidates are held personally responsible for all the entries made in the online application form/Hall-ticket and any incorrect information or information suppressed will entitle disciplinary action against the candidates. 3. 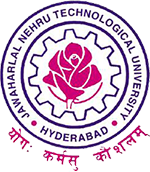 Examination centre for Pre-Ph.D/Pre-M.Phill/Pre-MS examinations is in the University campus at JNTUH College of Engineering, Kukatpally, Hyderabad. 4. There is no Re-counting and Re-valuation of Answer Scripts for Pre-Ph.D Examinations.